Weapon and firearm offenses are aggressively prosecuted and harshly penalized in Illinois. From the unlawful possession of a firearm to the use of a deadly weapon in the commission of a crime, weapon-related charges may leave a person facing incarceration and a criminal record. Schierer & Ritchie, LLC represents clients across Peoria and the surrounding areas in Illinois who have been accused of weapon crimes. Our team understands what is at stake and takes care to provide personal, individualized attention to make sure you understand your rights and options. When you choose to work with a Peoria weapon charges lawyer at our firm, you will have the full force of our experience and resources behind you, and this can make a significant difference as you face formal charges and criminal proceedings. Call (309) 839-2024 for a free review of your weapon charges. Weapon Charges? Let Us Put Our Experience to Work for You. 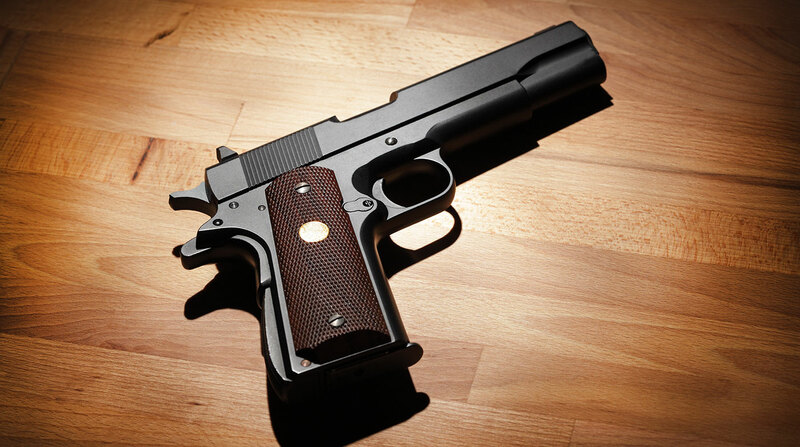 In some situations, Illinois citizens are not entirely aware of the state’s gun laws and how they apply to different circumstances, and this can lead to criminal charges. In other scenarios, a person may be wrongfully charged with a weapon offense or may have had his or her rights violated during a search or arrest. By carefully investigating the circumstances surrounding your case, your Peoria weapon crime attorney at Schierer & Ritchie, LLC can determine how to best approach your defense. For over 15 years, Schierer & Ritchie, LLC has been serving the citizens of Illinois, representing defendants’ interests in the face of weapon charges and all other types of misdemeanor and felony offenses. We are here to help you during these difficult times. To find out more, contact our firm at (309) 839-2024.